Well, my contrarian ideas on the current market sentiment proved to be wrong this trading day, but I still think we will see a USD correction sometime soon. First, I had hoped for a market reaction to the ADP Non-Farm Payroll, but got none as the number was released close to expectations at 128K new jobs. 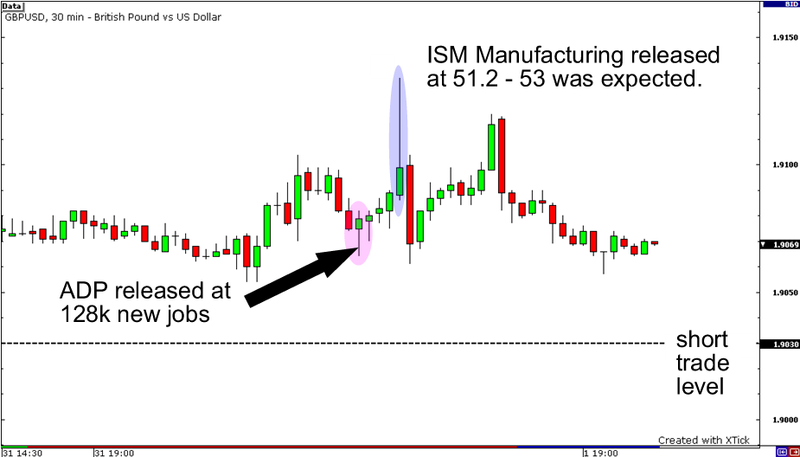 ISM Manufacturing came in lower as expected, but the move was rather limited as the pair spiked up briefly before coming back to pre-news release levels. This tells me two things: 1. Negative US economic news is having less of an effect and 2. Market players are leaving a majority of their money on the sidelines waiting for the NFP report on Friday. So, we got a day off from pip making as there was no trade today.